Since signing to Maybach Music Group, a lot of fans say that Wale has dumbed his lyrics down and changed his style from poetic lyricism to trying to conform to hood verses and club bangers. I slightly agree with this statement, but that isn’t the case for this album. Four days ago the DC rapper dropped his third studio album “The Gifted.” I believe this album will rally the disappointed Wale fans back to his table. A lot of fans wish Wale would return to his “More about Nothing” style instead of the faddish club banger Wale that he exploits so often. I believe this album will satisfy those fans. 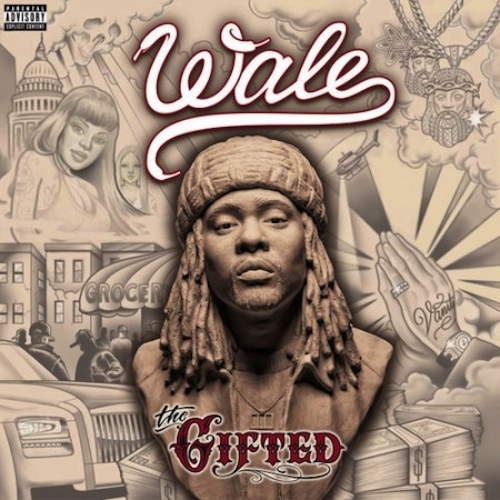 “The Gifted” sounds as if Wale combined his clever lyrics and flows from his mixtapes with a new approach to crafting albums. Patience is written all over this album. What stands out among anything else is the production on the album. The tracks don’t sound like any of the previous two LP’s. The first half of the album is up-tempo and has a brighter setting, while the second half is slower and mellower and slightly melancholy. Wale exudes inspirational and empowering lyrics through the majority of the album. He has not shied away from attempting to reach out to the black community and exploit major faults within modern urban society. The message behind the album is effortlessly delivered while remaining in his natural element, excluding a couple tracks that are for radio. There are quite a few features (most features have multiple artists on the one track) that consist of Sam Drew, Meek Mill, Yo Gotti, Lyfe Jennings, Nicki Minaj, Juicy J, Rihanna, Ne-Yo, Rick Ross, Wiz Khalifa, 2 Chainz, Tiara Thomas and Jerry Seinfeld. Overall I think “The Gifted” is a solid cop. The production is solid as well as the lyrics and delivery to listeners. This album is definitely better than its predecessor “Ambition.” The album really helps him stand out among the other artists on MMG. Wale can be a rapper of great caliber and this Wale sounds like the one that originally attracted his fan base some years ago. Appreciate it man. Thanks for being a viewer.